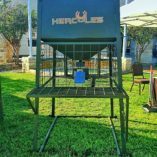 Hercules Steel Feeders are built in the USA with American steel. Heavy-gauge sheet metal and angle steel are used to produce the toughest feeder available. Hercules Outdoor Industries uses the finest electronic timers on the market, along with a powerful 12 volt solar panel and motor will give years of trouble-free use. Our feeders feature Hercules E-Z step and fill platforms to allow for no-hassle feeder filing. By elevating our feeder motors, we are able to spread corn beyond a 100 ft radius. 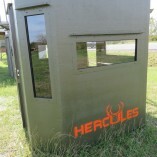 Hercules feeders are built on skids, which allows for easy relocation and getting new ground under the feeders. Hercules feeders also feature a bear-proof cage around the feeder motor and lockable doors for hopper and motor. 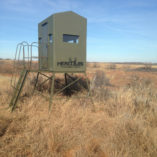 Hercules feeders are the feeder of choice for McMillan Outfitting. 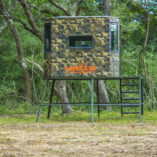 These Professional Outdoorsmen make their living hunting, and demand the toughest most reliable products, and Hercules is their preferred manufacturer! The Steel Cage is our 1,000lbs electric solar feeder. When you fill the Steel Cage up, you will not have to worry about fill it again for a while. When you do fill the feeder, it is not a big chore. With the stand on a platform that is just the right height for your tailgate, it makes filling this bad boy an easy task! 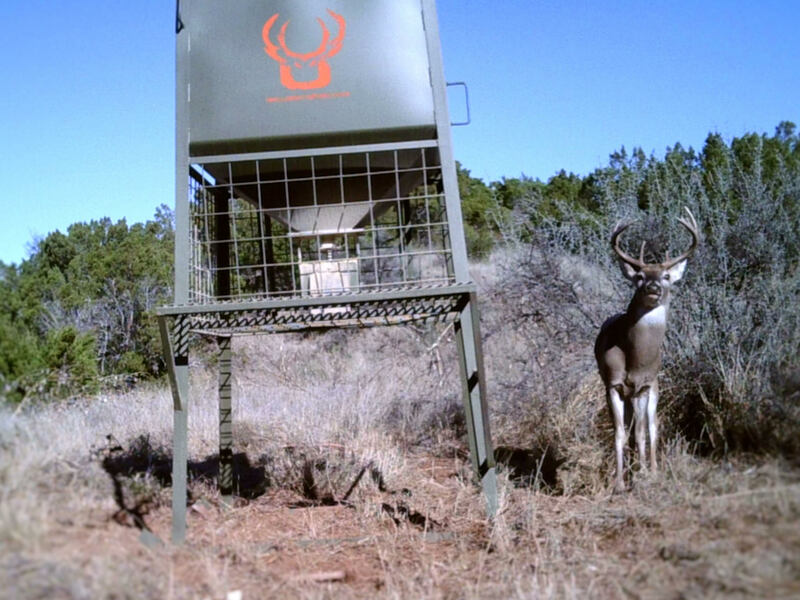 The Steel Cage is built on skids, so If you ever need to move the feeder over a few feet, you can do it with ease. The Steel Cage Jr. is our 400lbs electric solar feeder. 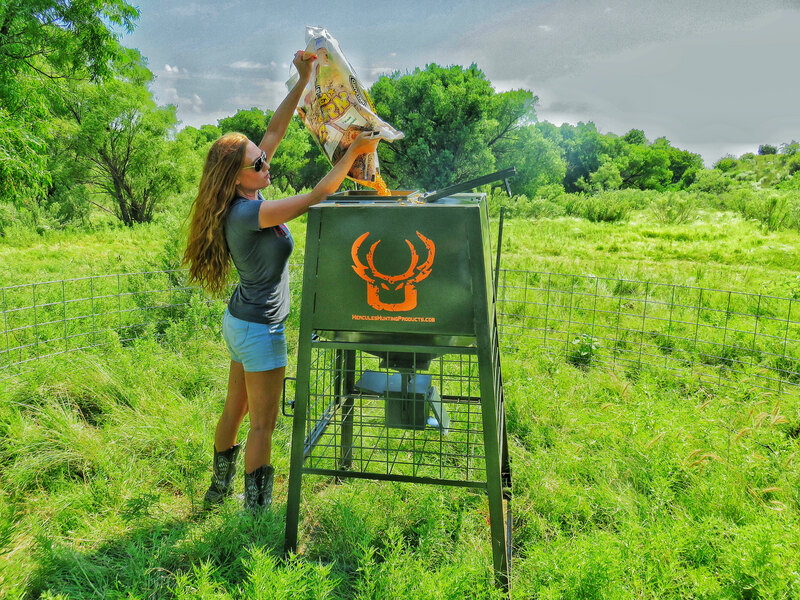 The Jr. is a smaller version of the Steel Cage, and you can just stand and fill the hopper. The Jr. is great to get into those tight spots where vehicle access is a challenge. The Jr. is built on skids, so If you ever need to move the feeder over a few feet, you can do it with ease. The Protein Gravity feeder is 1,000lb gravity feeder is 100% constructed out of steel. With the easy fill platform that is just the right height of your tailgate, it makes filling the feeder safe and easy. 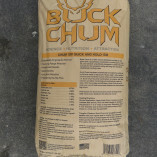 There are 3 feeder spouts that are perfect for helping you feed your desired game animal.